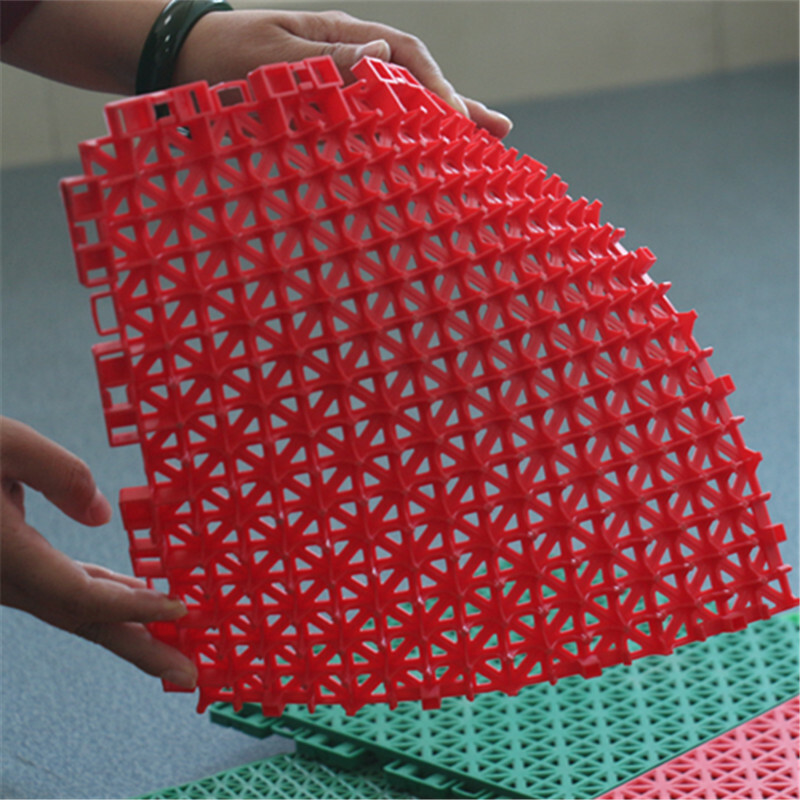 First real double seamless structure and safe protection with soft and elastic surface. 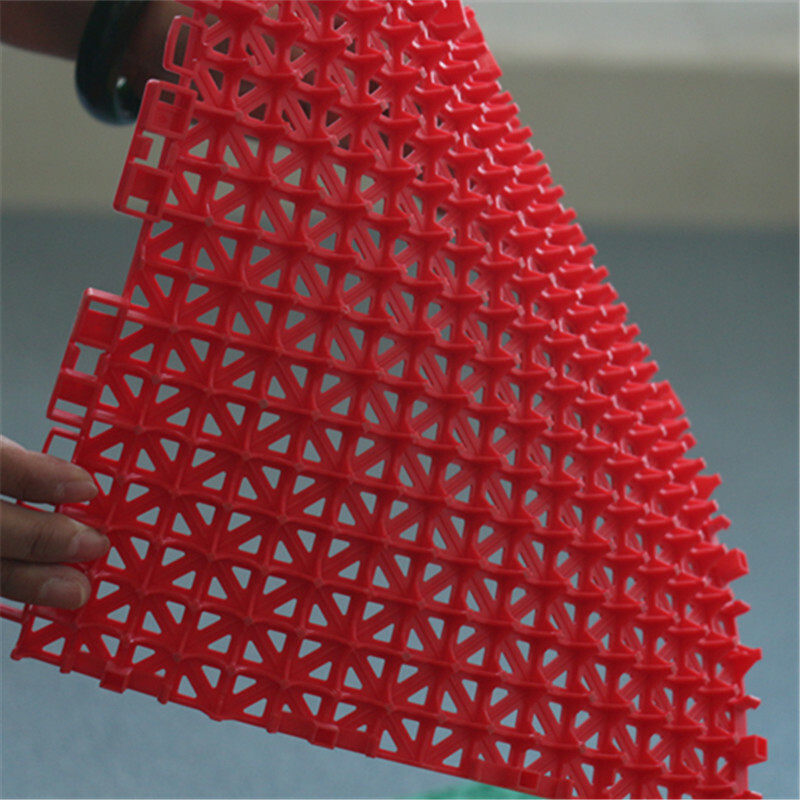 Improved fluorine rubber material porvides excellent adhesive force, more anti-skid than PP. Elastic structure can also reduce effectively the secondary damage of grazing and burning after tumbling. 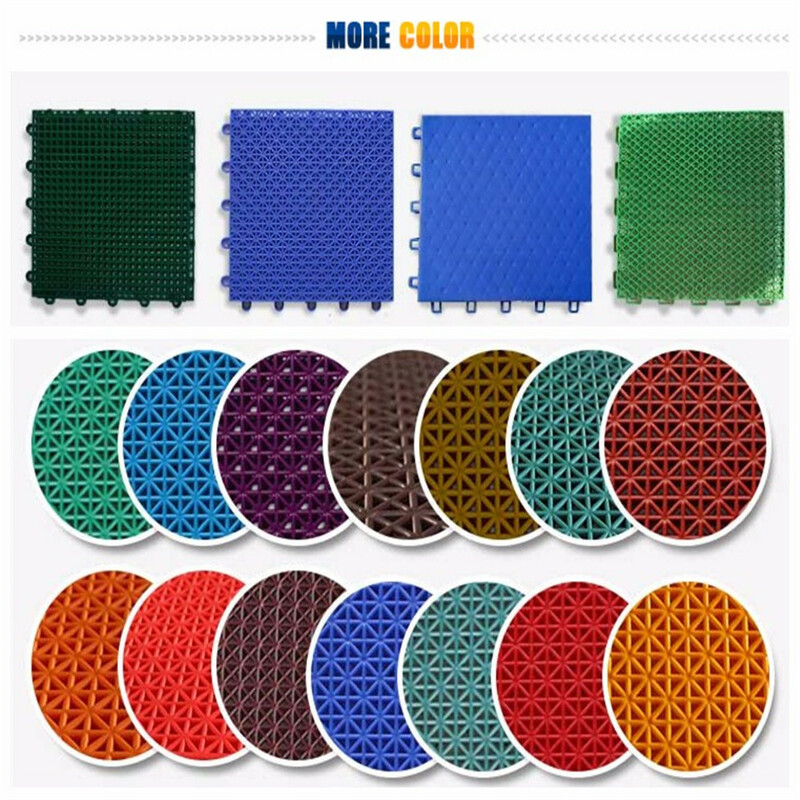 Double layer structure ( elastic top and tough base) can offer better vertical buffer so as to reduce the damage of body joints and muscle and improve the running and jumping experience. Besides, our floor also have side buffer with lock latch, providing buffer to athletes even when they stop suddenly and swerve. Integrate the sport performance and safety. 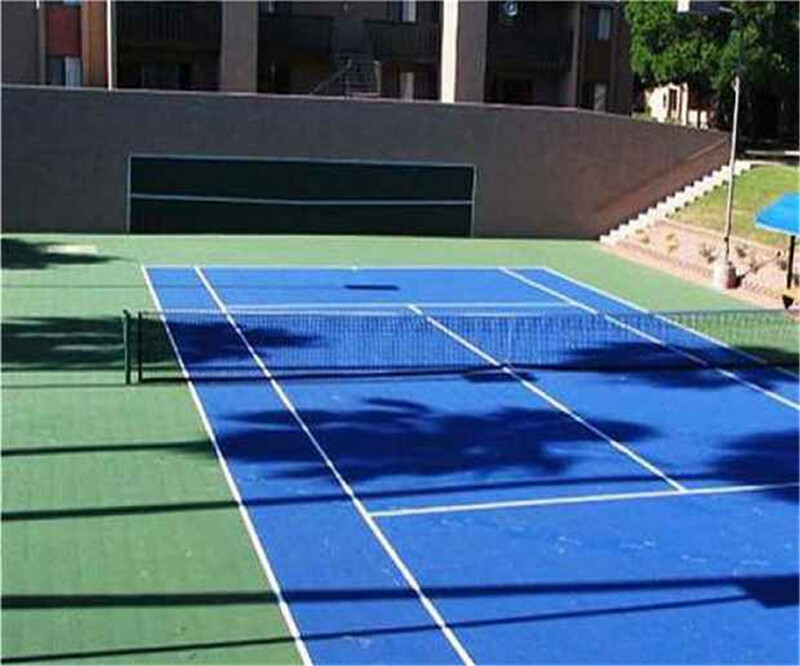 The site can be used both for sport and recreation. 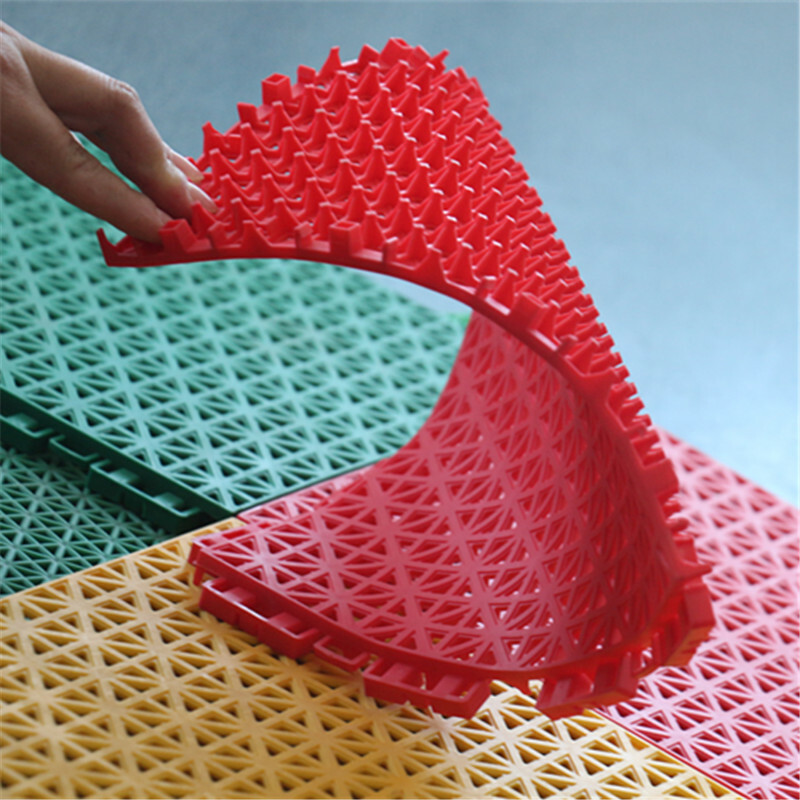 Adopted multi-color injection molding technique, each single piece of floor can mix three colors and there is no need to draw lines when install. 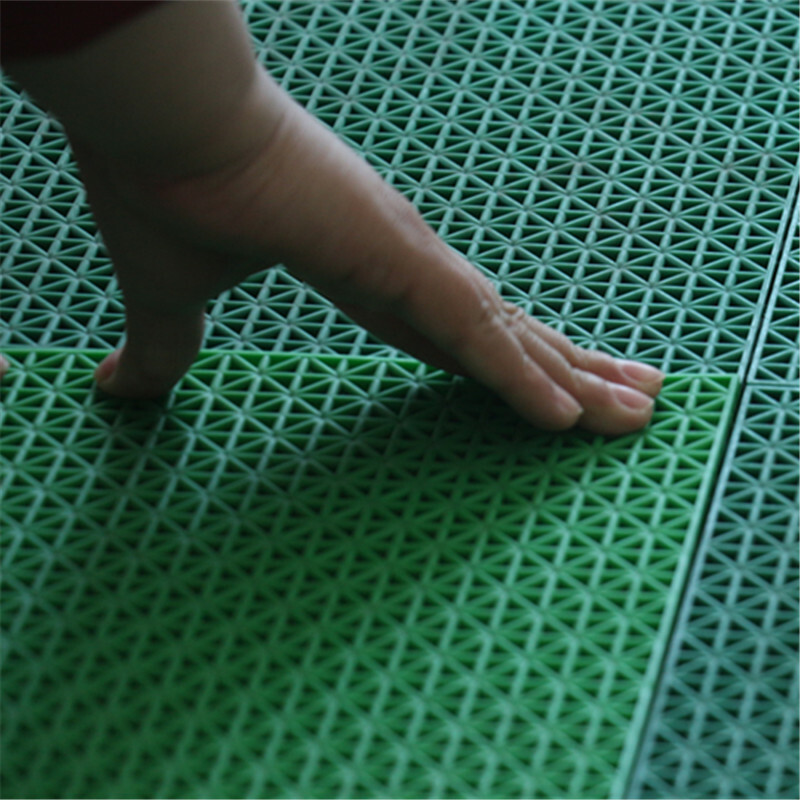 The surface of the floor use improved fluorine rubber material with high density, which is more abrasion resistent than PP surface. And our improved PP holder with high strength is with more weather and temperature difference resistence. Our floor are anti-UV , anti-aging, oil & acid resistent and not easy to fade and deform. Production with eco-friendly material, no harmful additive to human body and environment, no harmful volatiles and heavy metal, no weird smell under high temperature, no need of glue and adhesive and line-drawing, no need to worry about that the site will be polluted by harmful solvent. With interlocking system, it is easy and quick for installation & disassembly. The worker just need some simple instruction before installing the floor, no need of professional installation workers. Four people can finish installing a site within three hours at the fastest speed. 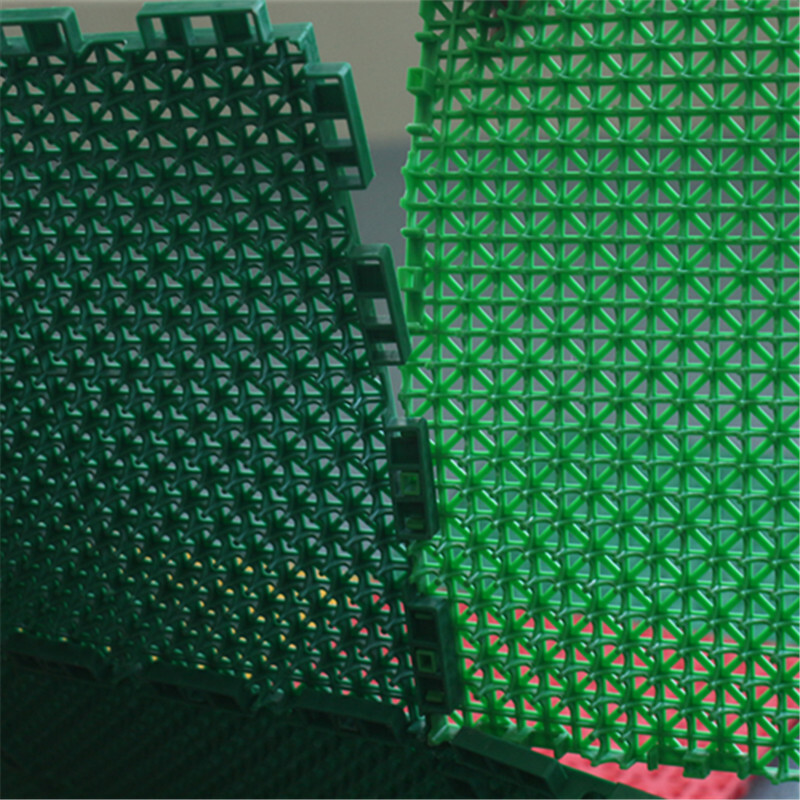 Looking for ideal PP Interlocking Tile Flooring Manufacturer & supplier ? We have a wide selection at great prices to help you get creative. All the Interlocking Tile Flooring are quality guaranteed. 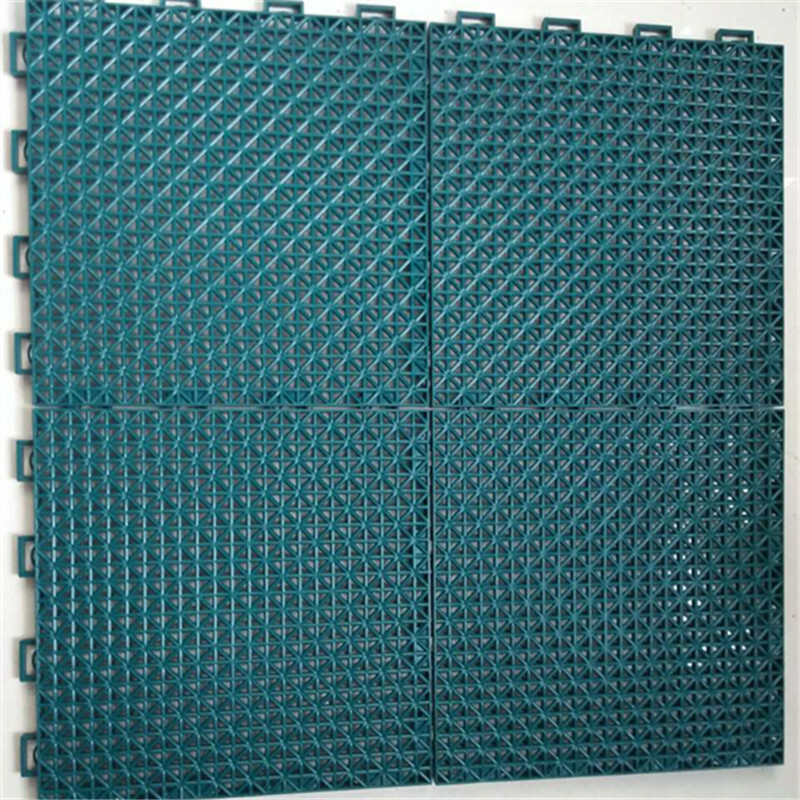 We are China Origin Factory of Floating PP Interlocking Tile Flooring. If you have any question, please feel free to contact us.